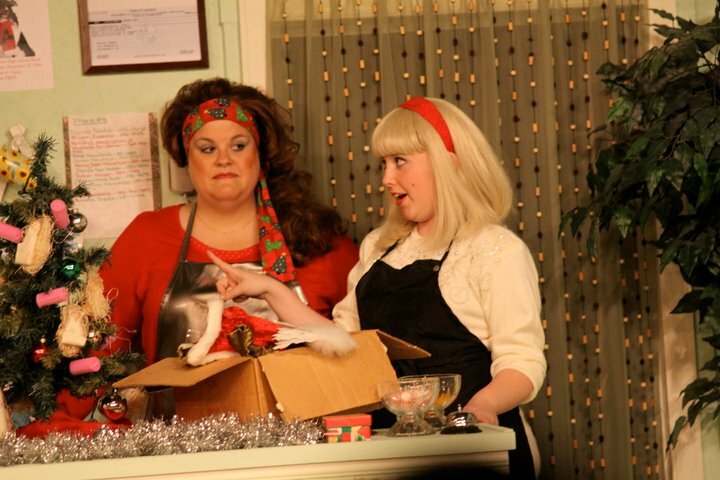 Me playing Annelle in Steel Magnolias (I’m the one in the blonde wig). From that first play, I knew that theater would be a huge part in my life. I went on to act in many plays such as Annelle in Steel Magnolias and Mae in Cat on a Hot Tin Roof. Last year I became an official board member of the community theater and had the privilege of directing my first play, Bus Stop. I think everyone was surprised that I took to theater as much as I did because I was always a shy and quiet girl, but with theater I found that I could express my self in way that I normally could not. With theater, I get the chance to pour my soul out to people and I promise you, there is no other feeling like being on stage. 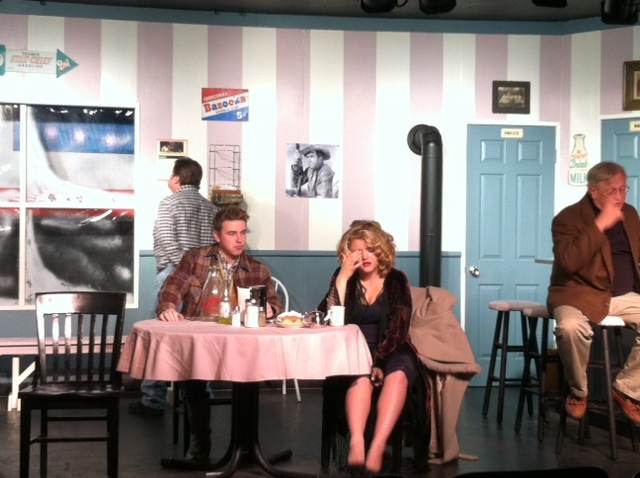 My directorial debut, Bus Stop. Oh my goodness, if you haven’t been exposed to Herinteractive’s Nancy Drew computer games than please allow me to enlighten you. These games have been around since 1998 and Herinteractive has gone on to make 29 games since. The 30th one comes out in just a few months! Nancy Drew tackles on all kinds of different cases from murder, to buried treasure and even haunted places. Each case takes place in a new location and stars unique and recurring characters such as Ned Nickerson, Bess Marvin, George Fayne and the Hardy boys! Each game is a good 10-12 hours of game play making each purchase worth every cent. I’m so excited about the next one, The Shattered Medallion, because the trailer makes it sound like they are going for a ‘Survivor’ theme. I can’t tell you how many times a Nancy Drew marathon has been done to brighten up a gloomy day. 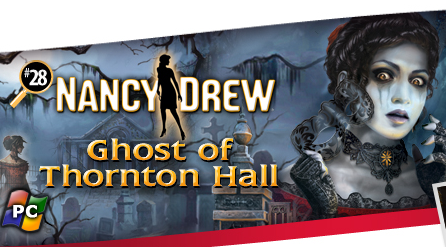 To check out more like trailers, screen shots and forums, visit Herinteractive. There’s a reason I enjoy blogging so much and the reason is, I love to write. Pure and simple. I’ve started many stories that take place in far away magical lands ever since I was little but I’ve never finished any of them. I’m a procrastinater at heart so unless you give me a deadline then I find myself stuck in front of a blank computer screen wracking my brain for the right words. I started a new novel that is a sequel of sorts to J.M. Barrie’s Peter Pan and I’m determined to finish it. Kayla @ The Thousand Lives just started a new feature called The Writing Life and it’s great for writing tips and tricks. One she shared recently that I found particularly helpful to combat my procrastination ways was to set a goal to finish one chapter a week. A deadline, thank you Kayla! My Tinker Bell wall hanging made from latch-hooking! I’m not a crafty person. I’m just… not. But when my grandma introduced me to latch-hooking, I was hooked (forgive the pun)! It’s simple and easy for uncrafty people like me but rewarding in the end. You can make all sorts of things with this too! I’ve made pillow covers and wall hangings so far. My favorite that I’ve made so far is a wall hanging of Tinker Bell. What do you do when you’re not reading or blogging? Share below and happy reading! I love this post. It is nice to learn more about the bloggers I read and this was fun. I haven’t in years but I really enjoy Latchhook rugs as well. I was designing a rug myself when I was in high school. I wanted to do the Batman/Superman logo on a white background. These days I’m either working or trying to spend what little time I can with my kids. I’m not that interesting. Thank you, that means a lot. It’s always fun to share our personal experiences, it makes everyone here seem more human. That would have been one EPIC Latchhook rug! I love it, but it is time consuming so it doesn’t happen often. That’s not boring at all, it sounds like you’re an awesome dad! I love this post, and the theater pictures are awesome. Thanks for sharing this bit about you. When I’m not blogging, I’m playing with my kids and quilting. I LOVE quilting. I like it for the same reason I like literature – everything has a meaning and a reason and a story. Wow, you really leaped right in didn’t you! I think that is absolutely fantastic, so since you play guitar do you also write your own songs? I used to do drama in high school! I’m a HORRIBLE actor, but I love to sing, so I’d just try out and specifically ask to be placed in the chorus, haha. Only once did I have a part with lines, and even my parents had to admit that I was pretty bad! Haha, I love that you did it though, that is GREAT! So many people don’t do things they want to because of fear. You my dear are an inspiration! 🙂 Thanks for reading! How cool is this post? I love it when bloggers speak of their other interests! Drama’s not been my thing(MAJOR STAGE FRIGHT??) although I did participate in a few school plays but I can definitely see the appeal!